Drought is a catalyst for wildfires. Spring rains bring new vegetation growth, which can turn into fuel for wildfires during the dry summer months. 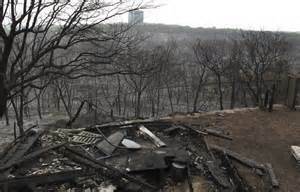 Fortunately, land owners and homeowners can help mitigate fire risk. The Texas Wildfire Prevention Task Force led by the Texas Department of Agriculture, the Texas Forest Service and the Texas Department of Public Safety has developed a wildfire risk map to identify areas of the state with the highest risk of wildfire. The map is based on data obtained using the Texas Wildfire Risk Assessment Portal (TxWRAP), a web application created by the Texas Forest Service and the Texas A&M University System. The purpose of this map is to help coordinate local citizens with local officials in these high risk areas to develop strategies and resources to effectively mitigate wildfire risk. If your county is highlighted on this map, please also download the Wildfire Resource Information Packet (WRIP) below.